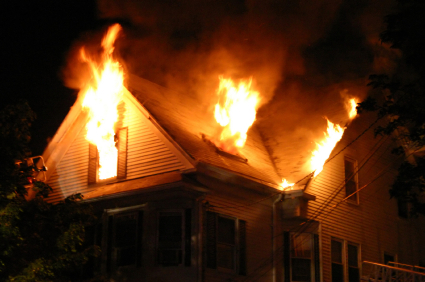 Preventing a Catastrophic Fire or emergency is very easy to do today with monitored Smoke detectors, Heat Detectors. , Carbon Monoxide Detectors, and all the other life safety products in our security product line up that we can easily integrate into your existing burglary protection with no extra monitoring fees associated other than the one time installation costs to purchase and install the product. Having life safety products integrated into your alarm system is a simple way to make sure that your home and family can receive round the clock protection to provide early warning of those dangerous and fatal perils. Knowing someone will be safe guarding your home or business while you are not there is a real comfort for your true peace of mind. It is important to understand that local smoke detectors or other life safety products most likely will not be heard outside your premise if you are not there to hear it your self. Pet owner especially need to understand that benefits of monitored Carbon and Smoke detectors and other life safety products. Sure local detectors will continue to sound and only annoy and scare your pet with no ability to provide help. The answer is simple. Have us install Life safety products so your home business family and pets are all safe and sound. We recommend the installation of at least one smoke detector on each level of your home to properly safe guard your home and family. Insurance companies also understand the huge benefits of adding life safety products and typically offer a greater discount off your insurance premiums. Some insurance companies will not even provide insurance and underwrite the property unless your home does have monitored smoke detectors. Having a monitored smoke detector at your premises ensures that the fire department will be contacted if the detector senses smoke in your premise. Call us today to see how easy it is to add such devices to your security system.